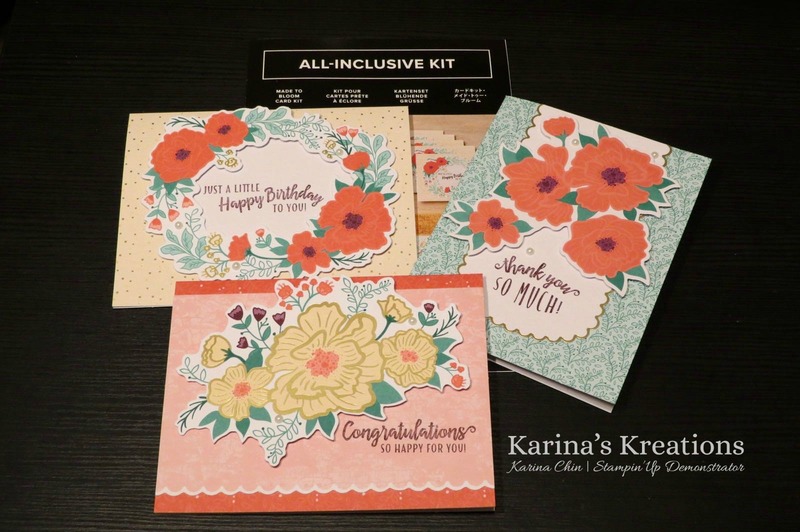 Karina's Kreations: Made to Bloom Card Kit! 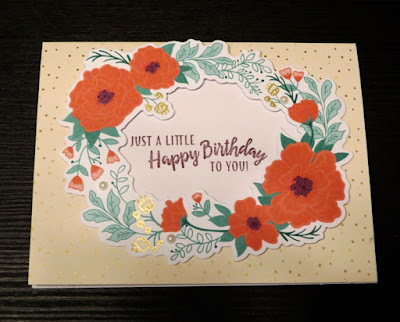 Made to Bloom Card Kit! If you are like most people and short on time, consider buying one of the new Card Kits from Stampin'Up. One of the new card kits is called Made to Bloom. 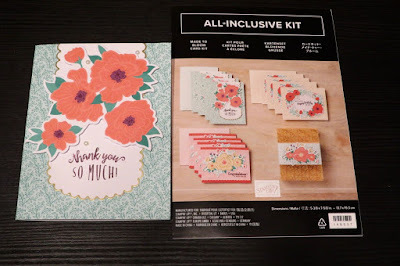 Everything you need to make 16 cards comes in the kit except for a snail adhesive. You get a 7 piece stamp set, a clear block, 16 card bases, 16 envelopes, a Blackberry Bliss Stampin' Spot, Stampin' Dimensionals, Pearls and a coordinating Acetate Box to hold you finished cards. This would be a fun project to stamp with a group of friends. 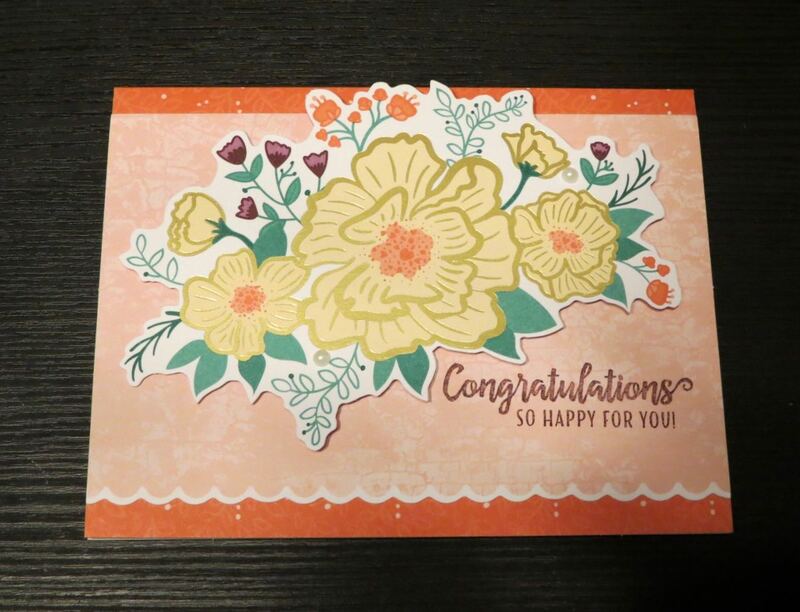 I made these three cards in about 10 minutes and that was reading the instructions. The kits are $37.00 + taxes. Add another $23.00 like the snail adhesive, a snail refill and some ribbon or a Simply Shammy and get a free Sale-a-bration item. 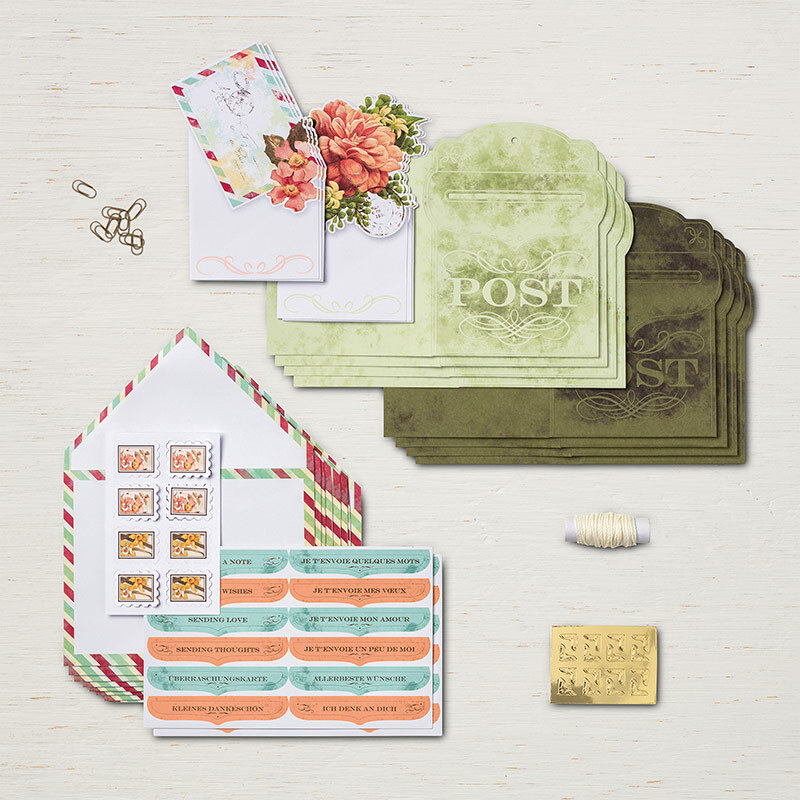 I would get the Precious Parcel Sale-a-bration card kit. It's super cute! Click on the picture below to order your kit.